GOLF COURSE, Lennar Pinnacle NextGen ''home within a home'' features 2 bedrooms, Den, 2 1/2 baths, 2-bay garage with extra storage area. The private NextGen Suite, with both an inside and exterior entrances, includes a kitchenette, living room and a bedroom suite with walk-in closet and private bath. Perfect for guests or for live-in! Many upgrades, including granite countertops, SS appliances, Enjoy unobstructed golf course and mountain views from your resort style rear patio with BBQ, fountain, and firepit. 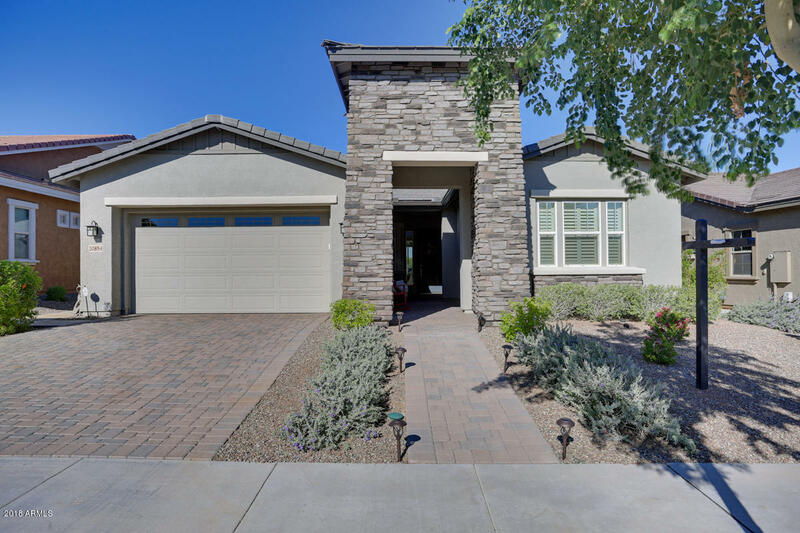 Live the 55+ lifestyle and enjoy the amenities that Victory and Verrado has to offer!